While it may not have been the greatest game of football played it will forever go down as one of the sweetest victories in the heats and minds of our players , management and supporters. It was a though game where experience and fitness was key to our success with Rhode edging out the win 12 points to Clara’s 9 points. 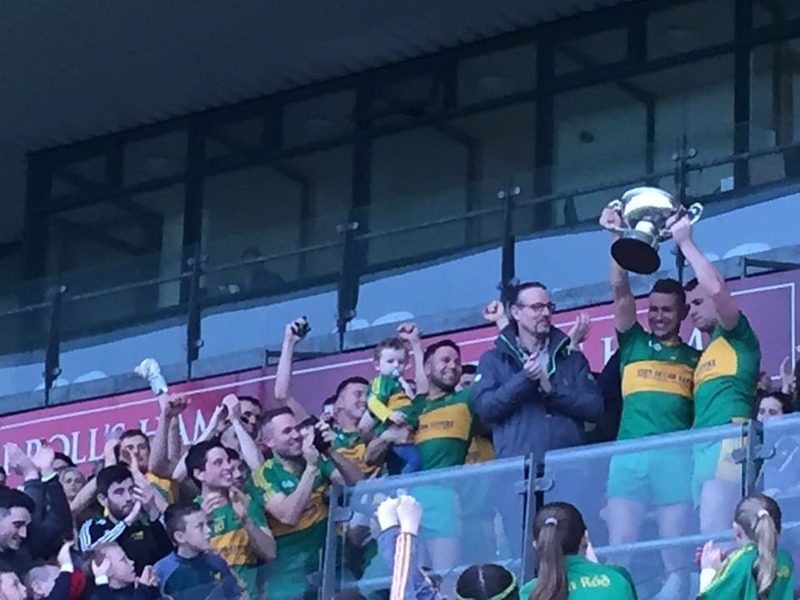 While it was a special day for all the players one man made history Alan Super McNamee collected his tenth offaly Senior Championship with Niall McNamee , Brian Darby, Shane Sullivan , Pauric Sullivan and Ciaran Heavey collecting their ninth. Congrats also to Niall McNamee on collecting the man of the match award. A massive well done to our boys and the management team enjoy the celebrations . Lets get behind the boys of the future. !! Rhode u,12s played Caragh of Kildare in a challenge game on Saturday afternoon last in Fr.Dowling Park Rhode . It was an excellent display from Rhode with final score reading Rhode 6-12 Caragh 2-8. A big thank you to Caragh for travelling over. We are holding our Golf Classic this Saturday 21st of October in Highfield Golf Club. Special Guest on the day The Dowling Cup !!! There was no winner of the Rhode GAA Lotto Draw that took place on the 10th of October for a Jackpot of €15,000. The numbers drawn were 4 23 26 28. 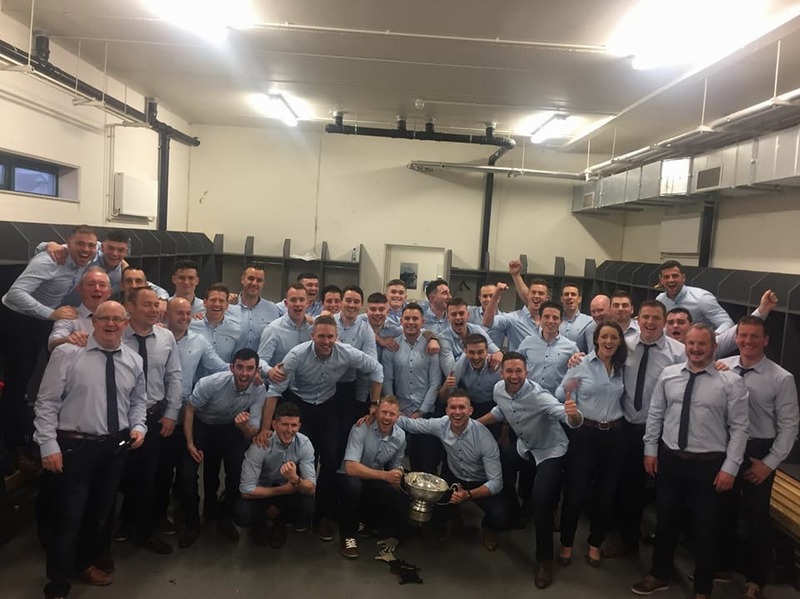 The club would like to thank all those who supported the draw and thanks to Killeen’s for the use of their premises and for their help and cooperation. The following matched three numbers and received €70 each.